Maruti Cervo: How can become the Nano rival? For more than one and half year a lot of web portals and news papers have been reporting that Maruti to launch the Tata Nano rival Maruti Cervo in India between Rs. 2 lakh to Rs. 2.50 lakh which comes packed with 600cc petrol engine and high-end security features likes of airbags, tinted glass, ABS, child safety locks and so on, but how can it possible in this little amount. 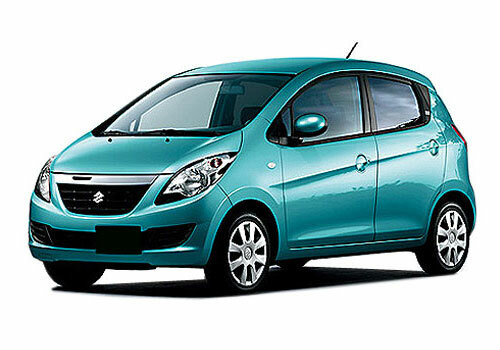 Because, Maruti Alto also follow this price bracket but not offering the regarding features. On the other hand, all the variants of Tata Nano are available between Rs. 1.40 lakh to Rs. 2 lakh (around) and it does not offer all these advanced safety features, only AC comes in high variants. When we watch the Cervo it seems premium hatch and all these features are available only this type of cars. If the Cervo comes equipped all these features its price would go for over Alto's price. Finally, I confirm that the Cervo would become my first car if the company offers it as a rival of Tata Nano. Definiently,Maruti Cervo more then Tata Nano.Maruti Cervo is not only have mileage and also excellent features and performance.